Free stuff, it's what us the non-sponsored, average mountain bikers live off of to make ourselves feel that we have a part in our bike community. 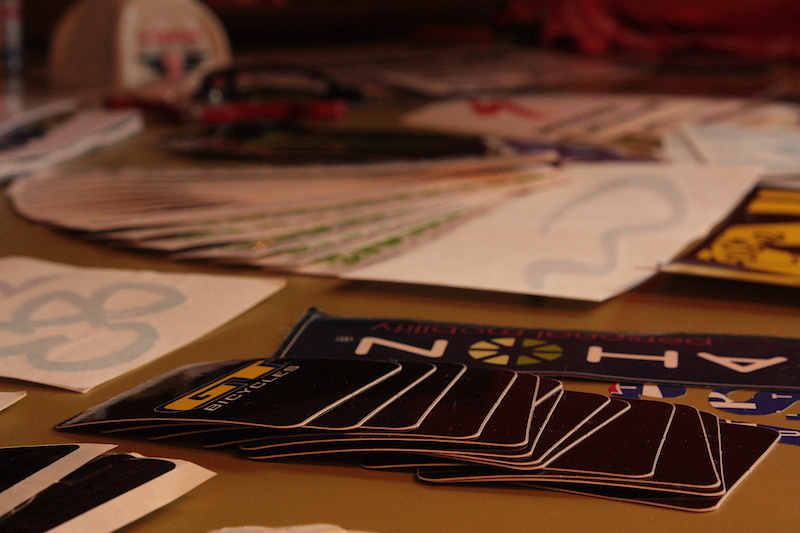 With anything from stickers to cowbells you can pick up almost anything at a bike event. Here's a how to for those who find themselves going home empty handed after an event!At almost every event bike related you can grab a good handful of free stuff. 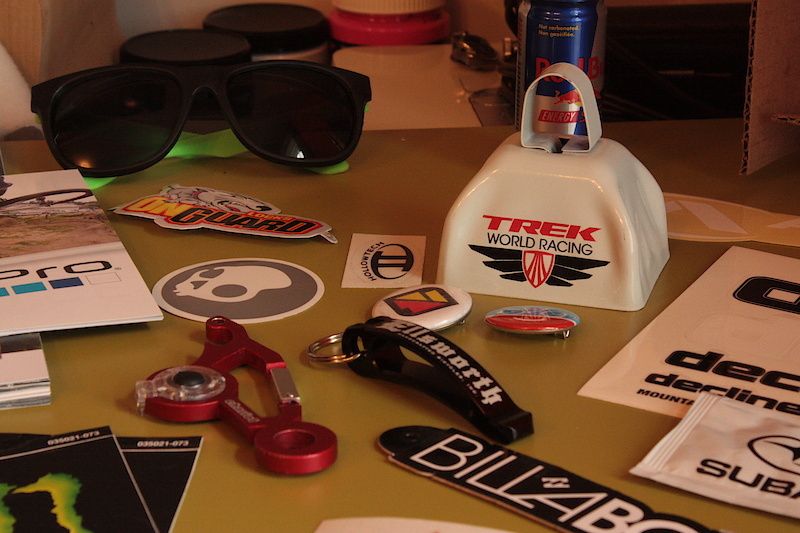 I've scored everything from the obvious free stickers and energy drink to the less obvious things such as cowbells and sunglasses! Though the gathering of free stuff does seem like a simple task it still takes technique and style just like everything else in mountain biking in order to get some goods. Follow this step by step guide and in no time you'll be taking home handfuls of free stuff in no time! Step 1: Think like the "Givers"
The "Givers" are the people giving out the free stuff. Its usually not their personal product that their giving out; they often don't care who it goes to and how much they get. Take what you want no one is judging you. 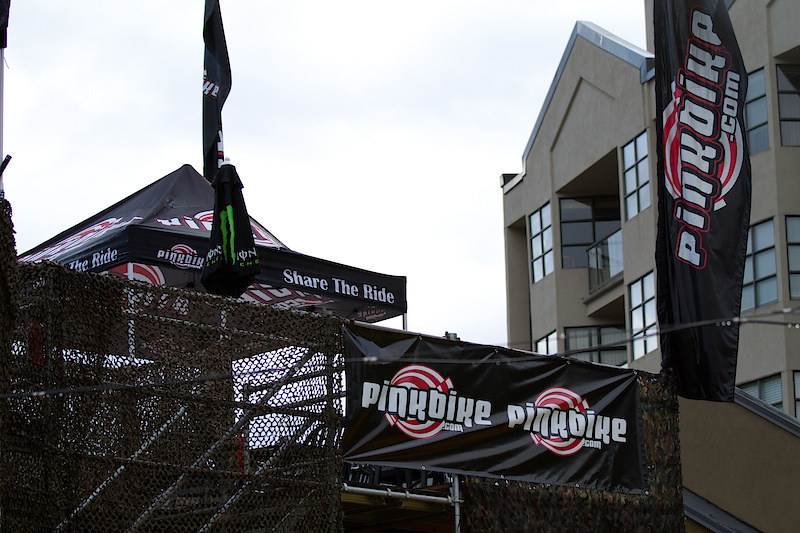 Walk around the tent village set up by the various companies and see whats up for grabs. Be casual and don't be afraid to have some interest in products, this is a good time to learn about new products and technology and build up your knowledge about various aspects of biking. Find the tents you want to grab some goods from and keep them in mind. 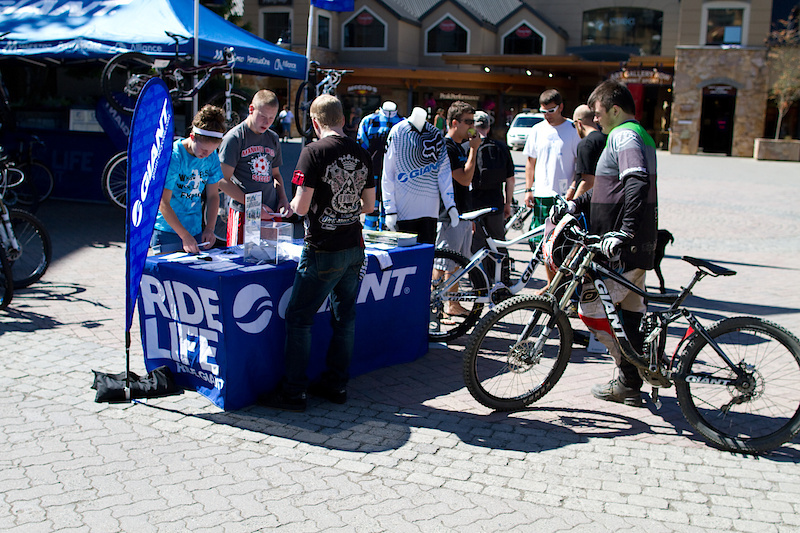 See what the non-bike brands have to offer, Red Bull and Monster Energy are often giving out free samples and not just one. I once got 6 free Monsters at a snowboard comp in Vancouver. Also check out companies like Telus or Volkswagen who don't have any of their actual product to give out so they give out some other random stuff like a sick pair of "Telus" sunglasses. Grab when no one is looking! If you notice an unoccupied tent with some goods, you've struck gold! Take what you can as fast as you can! I took a whole stack of stickers at [A]rduum this summer and another stank at the snow show last September at unoccupied tents. This is likely the most important rule to keep in mind. You're basically supplying free advertising to which ever company you grabbed stickers from so don't feel bad if you grabbed 5 Raceface stickers instead of one. Another thing to keep in mind is how much these companies have to give out; when you see those girls giving out free deodorant with boxes and boxes full just ask for a box! Seriously it works! By following this guide you'll be sure to take home a good amount of free stuff and hopefully you won't get too sidetracked from the actual event. Always remember to have fun and don't get carried away, I've got hundreds of stickers now and I have no idea what to do with them. Wow great message on steps 4 and 5: be sneaky and be greedy. Who needs 300000 stickers anyways? Take what you need and no more. Remember, they're giving you free stuff, but you're giving them free advertising...which one do you think is worth more? Well you obviously can't see through your sponsors and realize this is a bit of a joke. But I'll let you make as much of a big deal about this as you do everything else. I expect to see a lot of bike stickers on telephone poles and bus stops globally! forgot the first step,if its free...take it! Haha, I happen to live a very organized hoard-less life. 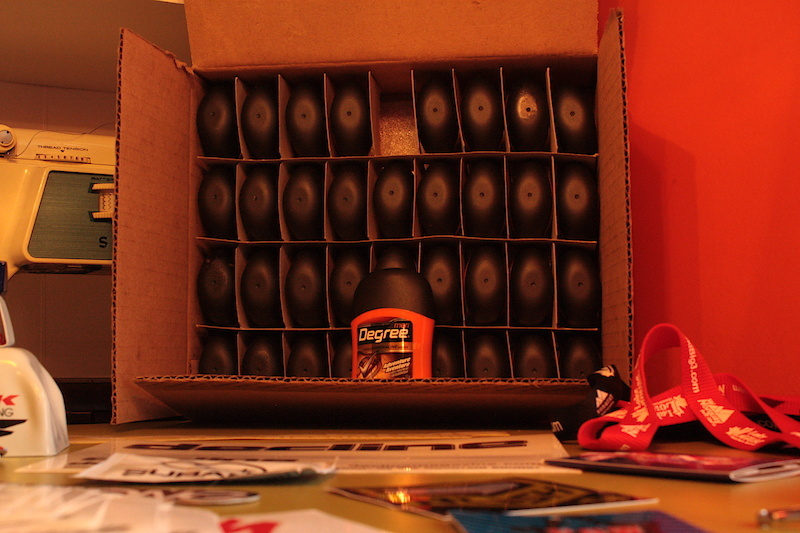 Big box of deoderant FTW! Is that a Subaru condom? i think you blurred the line a bit in there, finding an unoccupied tent and grabbing everything is pretty close to stealing.